truTV is partnering with the American Black Film Festival to find the next generation of distinct comedic voices to create repeatable comedic formats. 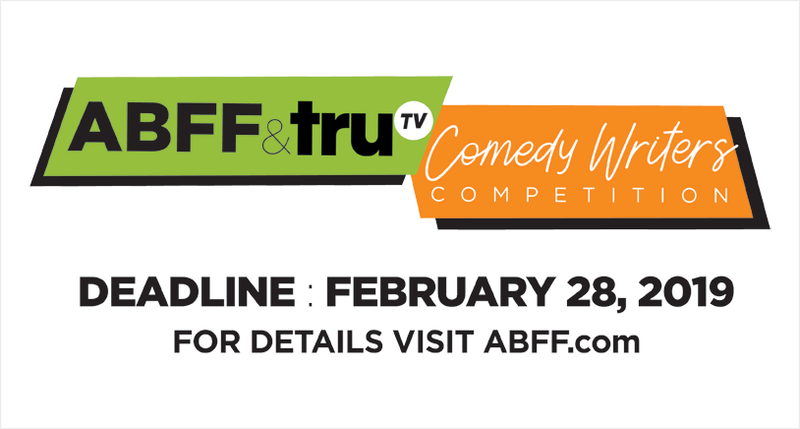 Through the truTV Comedy Competition, an outstanding content creator will be chosen for a development project in partnership with truTV. For inspiration, submitters are encouraged to check out existing truTV original programming formats, including Impractical Jokers, Adam Ruins Everything, Paid Off with Michael Torpey, The Carbonaro Effect, Comedy Knockout, and Laff Mobb’s Laff Tracks. A logline of the show premise/concept – What is the show’s mission statement? A comedic and/or informative electric one-liner describing the show, a tag line. Type of format – comedic variety, game show, etc. If it’s a comedic variety show – what is the show trying to solve, explore, or trying to prove? And what are the variety of segments within the show? Creator bio, resume, and relevant links if available. Things we like in our shows…Elements we look for. truTV is a comedy network, so it’s all about leaning into the comedy first…simply, it has to be funny. An unexpected and new angle into a topic or subject. What is that unique entry point into an area of interest? Show formats that are unscripted, highly repeatable and easily produced, while still maintain high production values and smart, clever writing. ex. A companion piece to Comedy Knockout. A show format that invites professionally funny people onto the show to do the thing they do best – be funny, tell jokes, and show off their comedic powers in a creative manner. ex. Like our show Laff Mobb, new ways to deliver standup. Since we aren’t doing traditional standup on our air, what are different and interesting ways to showcase comedians and their jokes? Topics that are sticky and relevant to our audience (Men/Women 50/50 split, 18-49, median age 34). And, what are those topics that our audience will be talking about 6 months from now? Original ideas that will cut through the TV landscape. The brand experience on our shows is that you’re always getting “something” at all times, whether it’s laughter or something informative to walk away with. Our shows are fast paced and constantly hitting you with a joke or info you need to know.